The area covered by the book is a deeply rural part of South Lanarkshire and comprises of four villages with a peaceful and relatively uneventful history. Livings were made from the land and latterly from sporting estates and holidaymakers. 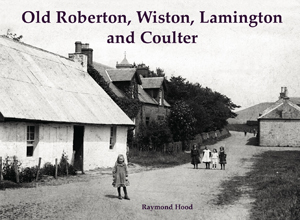 The photos in the book reflect this gentle pace of life and when villages like Wiston had a post office and a school and Coulter had a motor garage. Naturally there are images of mills, churches and large houses, but especially of interest are the photos of the 1905 construction of the reservoir near Coulter.